Dr Simon Cox is a Principal Scientist at GNS Science in Dunedin, with professional expertise in the fields of geological mapping and tectonics, GIS modelling and mineralisation. In 2010 he was awarded New Zealand’s premier geoscience prize, the MacKay Hammer, for his work on the Aoraki 1:250,000 geological map of the central South Island. He was also awarded the 2012 New Zealand Geophysics Prize and the 2011 New Zealand Hydrological Society best paper prize for his work on the hydrological effects of the Canterbury earthquakes. In 2012 he also published a geological map covering most of South Victoria Land, Antarctica. Simon graduated with a PhD from University of Otago in 1993, then developed consulting experience in the mineral industry throughout New Zealand, Indonesia and Australia. His exploration targeting at Macraes Flat in Otago led to the discovery and definition of the Frasers underground resource (1.2 Moz Au), which is still being mined. Simon currently sits in GNS Science’s Natural Hazards Division, where his work involves: fault and earthquake research in the South Island; the mapping of rock avalanches, earthquake-induced landslides and alluvial fan flooding hazards. He is also part of the Alpine Fault Drilling Project, has experiments to understand hot springs in the Southern Alps, and liquefaction damage in Christchurch. Away from work, it is likely that Simon and his family will be outside doing something active to “relax”. He is passionate about climbing, surfing, skiing, soccer and mountain biking. 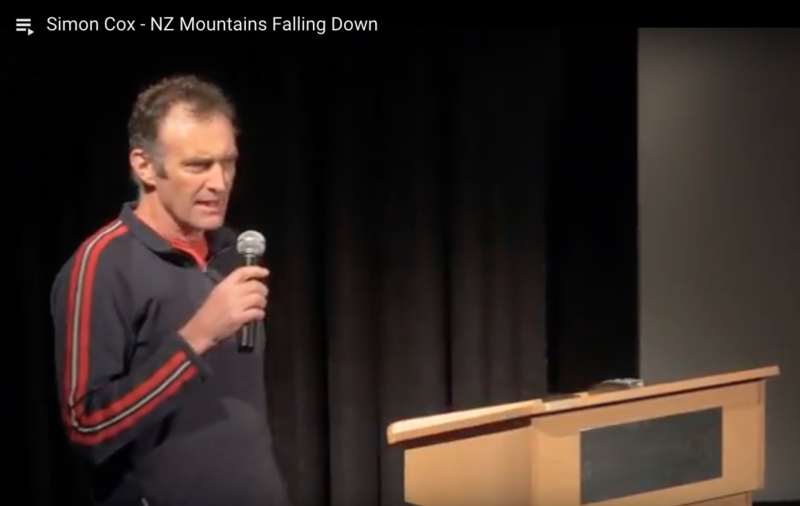 Simon has climbed and explored throughout the Southern Alps since a teenager, and has made expeditions to the Himalaya, Europe, America and Antarctica. Simon contributes to the community through Surf Lifesaving and peer review of science literature, maintains close ties with local iwi/māori through pounamu research, and is widely recognised as a public speaker and communicator of science.